Be surprised about the benefits of lungeing! 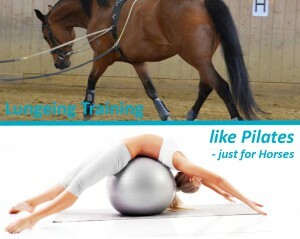 Like Pilates for us humans, lungeing is a stretching, lengthening exercise while the horse moves and works out. This cross exercise supports the training of the ride or driving horse. Its benefits include stretching horses’ long back muscles, activating their hind quarters or refining rhythm. In addition, lungeing is a variety to riding and gets the horses’ attention and interest. 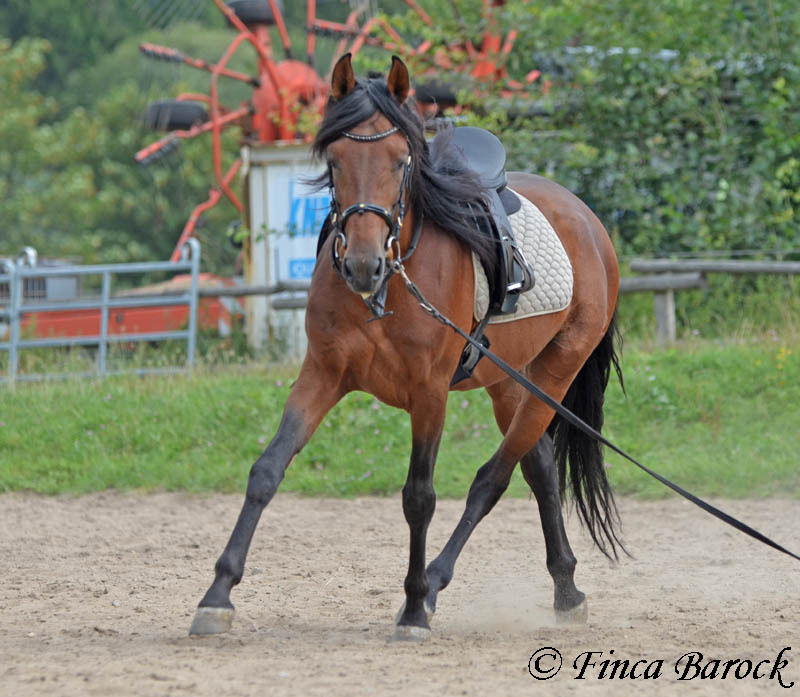 Lungeing is great for the acclimatization of the young horse to the saddle or harness. 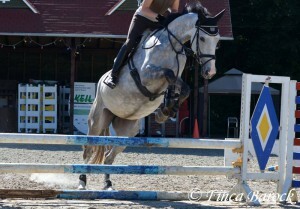 It gives you a chance to train your horse without the weight of the rider. The young horse can learn step-by-step to get used to the bridle, saddle and your commands while building up trust with its rider. Lungeing is further education for the horse, especially for the preliminary work for a higher level of collection. Through targeted exercises, you can foster the horse’s collection while training the specific muscle groups it needs. 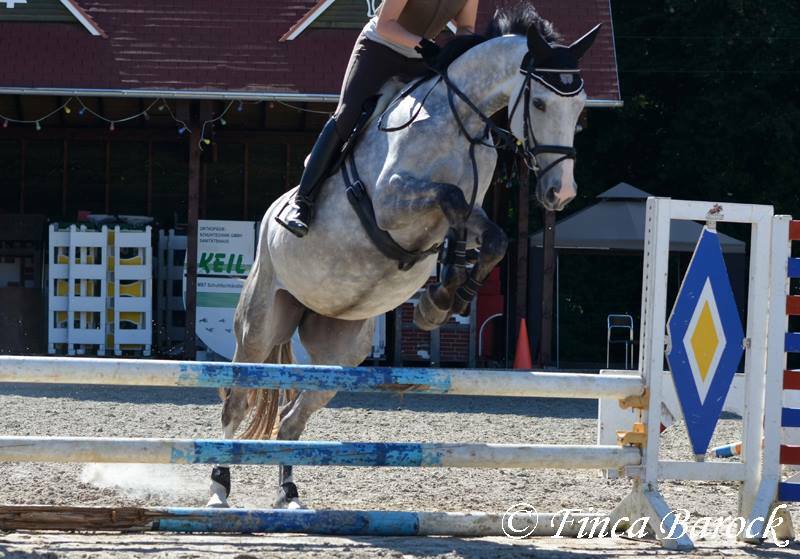 Including pole and small jumps into the lungeing workout prepares the horse for jumping. 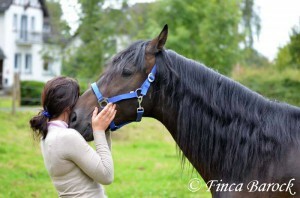 Lungeing increases your relationship with your horse. If you are not able to build a trusted relationship with your horse while working it on the ground, you will not become a team while you’re on its back. With lungeing, you redefine your body language to the horse and you connect via your voice by the commands you teach the horse. 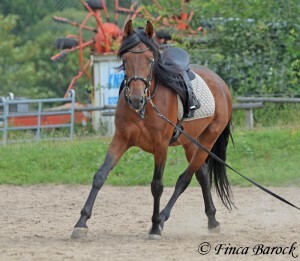 You are only connected with a lunge line and cannot interact with your body weight, legs or use both side reins of the bit. To master the horse with this limited connection, you will need to gather its trust and respect while you can only work with your voice, body language and the lungeing wip. With an increasing bond and trust, you can work with a bitless bridle, or cavesson, to interact with softer commands without interfering with the horse’s mouth. If you don’t have any outside space available where your horse can burn off some steam, lungeing can help your horse to get its energy out. Also, it can serve to correct trouble makers and helps to get the horse used to everything that brings up its emotional level. Lungeing is a great exercise to support the training for horses with exterior defects. 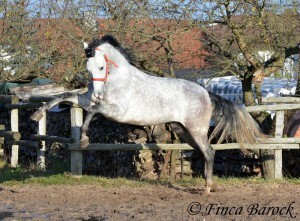 A great example is our featured horse profile Marco. When horses get older, their backs tend to sink. With lungeing training you can work against this. Last not least: Lungeing is the perfect exercise as a recovery after an injury. 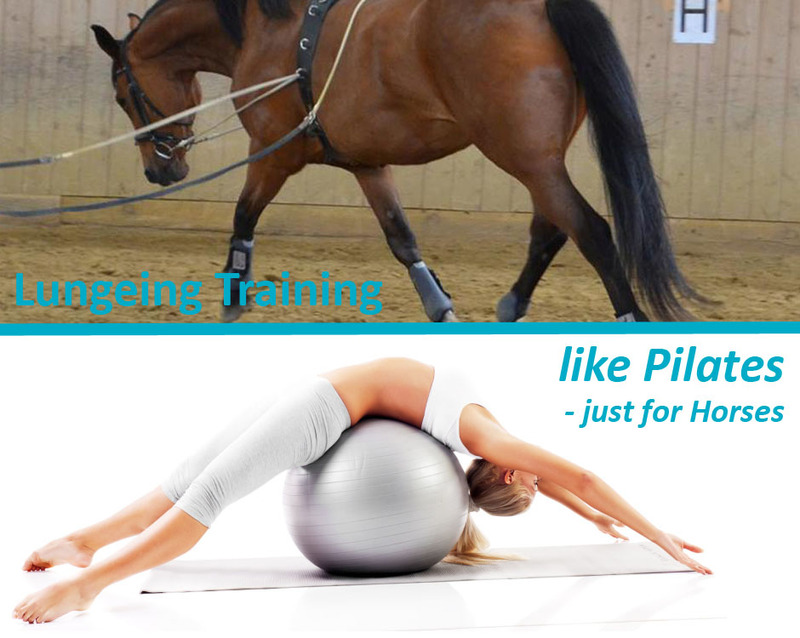 While comparing lungeing with Pilates, it also can be explained as gymnastics for the horse. They stretch their stiff necks, and lengthen and work on their posture and body expression. Equestrian vautlers do the same – just on the horse. 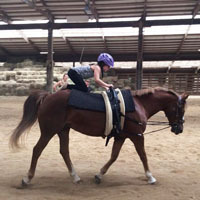 Performed in a walk, trot or canter, the vaulting horse needs to have a surrounded lungeing training to balance out up to three gymnasts on its back. Through lungeing, the horse improves its own balance, which does not just help the vaulting horse. You’ll experience a more balanced horse while riding, and when asking for bending or straightening.